FOR the many who knew and loved him, Gary Sawyer's character was defined by his brave fightback after coming inches from death in a spectacular car accident 40 years ago. But there was so much more to the man, as his nearest and dearest will attest. A successful and charismatic businessman prior to his accident, Gary was proudly Ipswich bred, attending Silkstone State School and Bremer High before following his mum Jesse into hairdressing. They went into business partnership and at one stage owned five Salons in Ipswich, under the name 'Gary Sawyer Hair Fashions'. 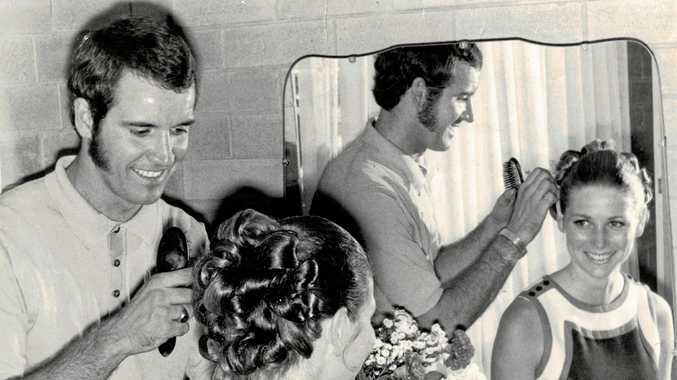 Among his achievements as a hairdresser and businessmann was training 54 apprentices, opening the state's first men's only salon, cutting Miss Australia's hair and claiming first place in the 1976 Queensland Hair Styling Championships. His flair took him to the world stage, where he qualified eighth in the World Hairdressing Championships in LA in 1977, and eighth in the World International Championships in Dusseldorf the same year. 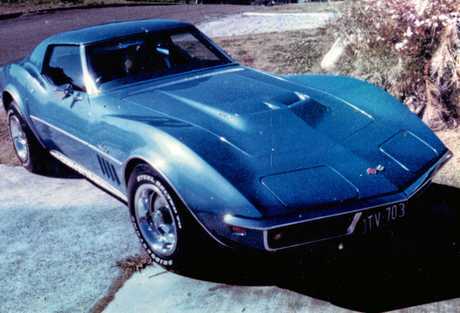 Gary's rise to prominence allowed him the opportunity to buy his dream car - a mint 1969 Corvette - but it was in this machine that tragedy struck. After attending the Melbourne Cup Fashion Parade in Brisbane in 1980, Gary was driving home in his blue Corvette when crashed on South Station Rd. 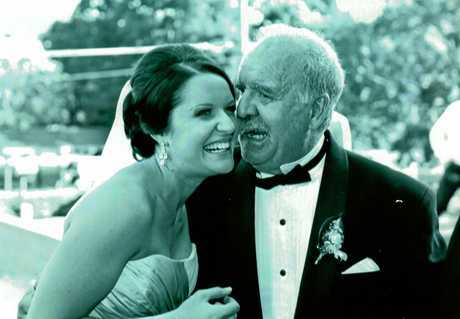 Daughter Brooke Davies said the incident changed her father's life forever. "He was pronounced dead at Ipswich Hospital," Mrs Davies said. "He was quickly transferred to the PA Hospital where surgeons saved his life. "He was left with severe brain damage and hemiplegia, and was told he would never walk again, have children or drive a car. "He simply said 'no' to that and went on to do everything they told him he would not." That included having his first child with wife Judy. Brooke, was born three years after the crash. Brooke's arrival changed much of Gary's outlook on life. "Dad devoted the remainder of his life after the accident to charity," Mrs Davies said. 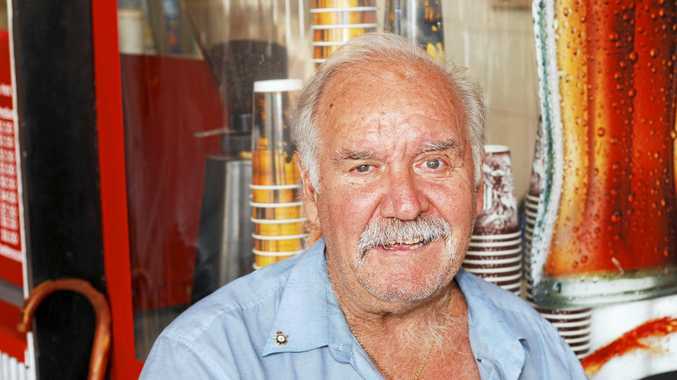 "He sold tickets for various charities outside Coles in Ipswich and Woolworths in the Mall. "He was on the board of various charities and an honorary member of the Ipswich Rotary Club. "He dressed up as Santa at charity Christmas parties and gave presents to those less fortunate. "He was fondly known as 'the lolly man', as he always had a basket of lollies attached to his arm and he wouldn't let you get away without a lolly and a joke." His major achievements later in life included walking the Sydney Olympic torch as the relay passed through Booval. 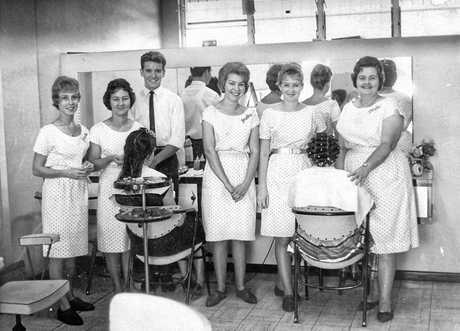 Earlier, in 1986, he was awarded a Life Membership to the Australian Society of International Hairstylists. 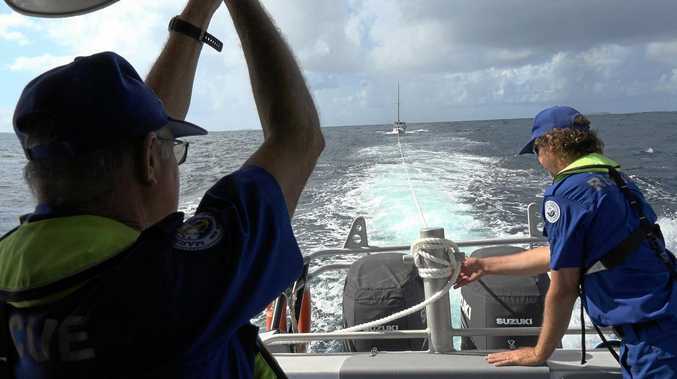 Gary passed away, aged 71, at St Mary's aged care centre at Coolum Beach on Tuesday morning, following a prolonged battle with heart and renal failure. "He fought tooth and nail to keep going," Mrs Davies said. "I saw him for the last time on Monday night. I told him that I'd had enough of seeing him suffer and I gave him permission to go. He'd been non-responsive for three days except for a few squeezes of my hand and the occasional raising of his eyebrows. "It's a huge sense of relief to know he is finally at peace. "We are now focussed on giving him the send-off he deserves." Gary's funeral will be held at Central Church, Ipswich at 10am on November 16.